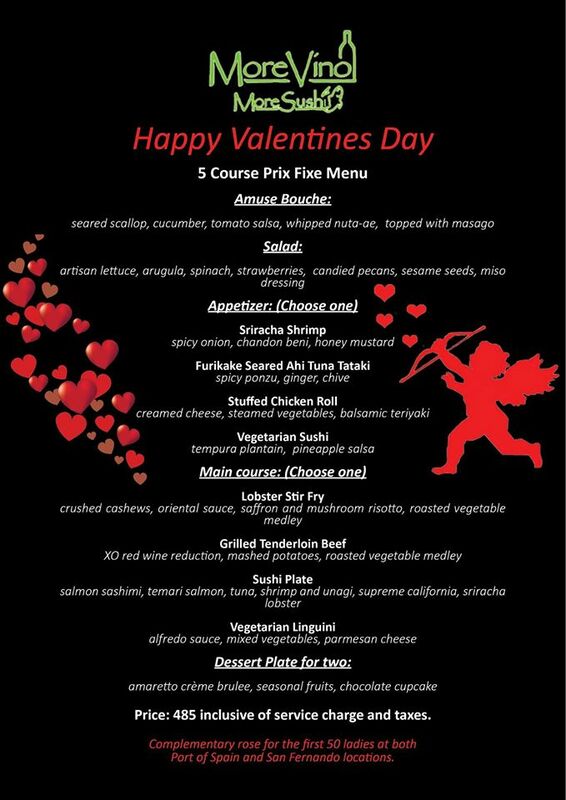 Here’s our roundup of restaurants in Trinidad & Tobago offering 2016 Valentine’s Day specials, which include brunch, lunch and dinner. 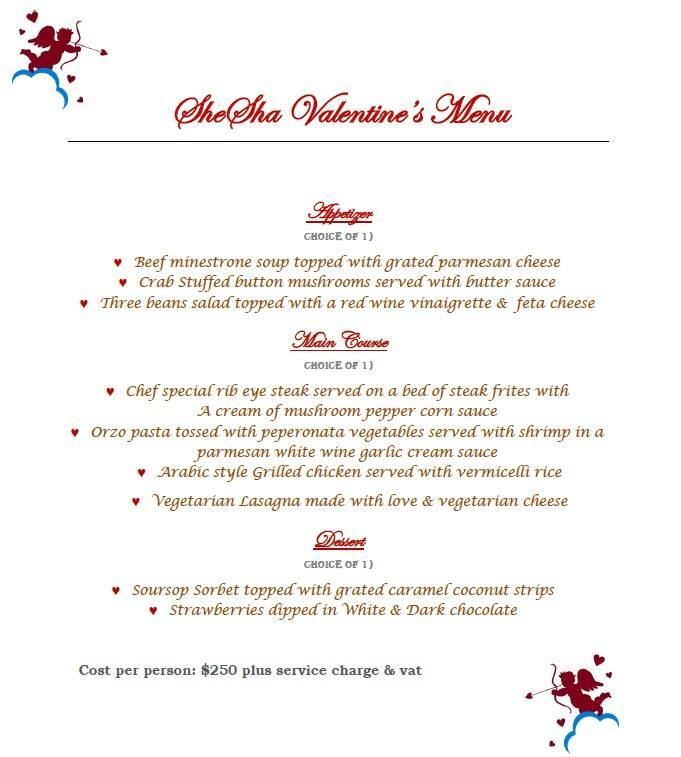 Please note, a few restaurants are also offering special menus on Saturday, 13th February. 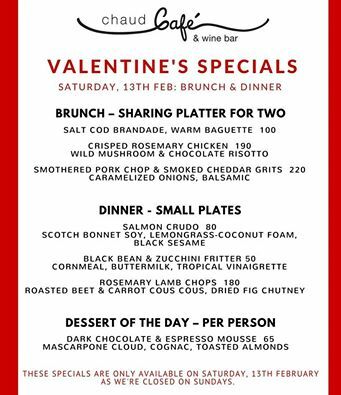 (Apologies for the lateness of this post, but so many have asked today that we decided to pull together a list). 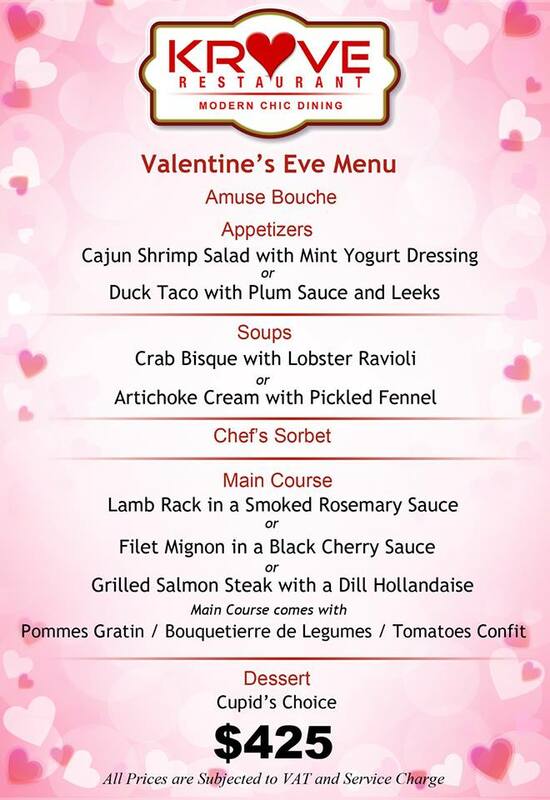 Valentine’s Dinner (available Feb 13th AND 14th): $490 per person plus tax & service charge, glass of sparkling wine. 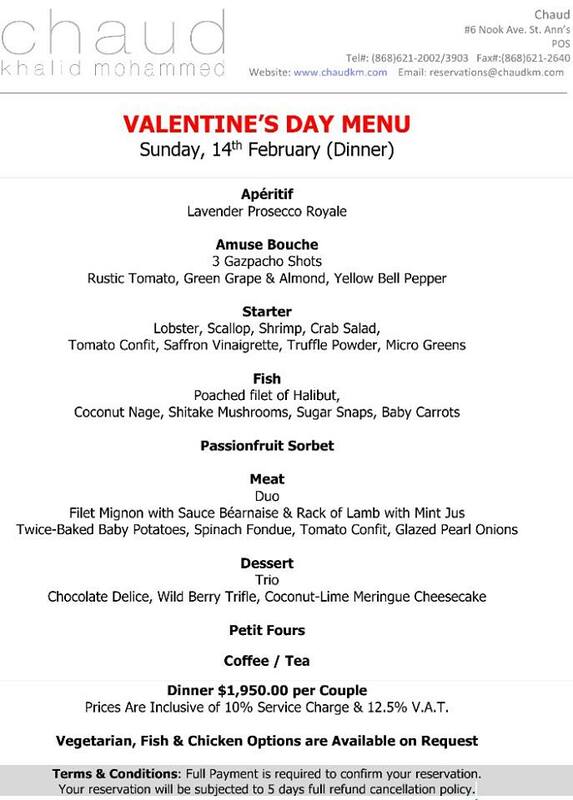 Valentine’s Day Dinner (available Feb 14th): Five course dinner for $1,950 per couple inclusive of VAT & service charge. 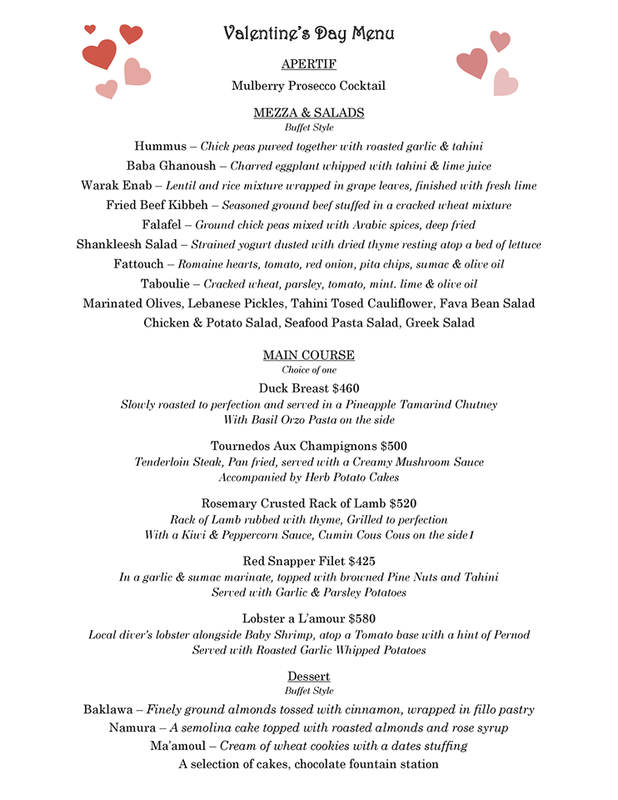 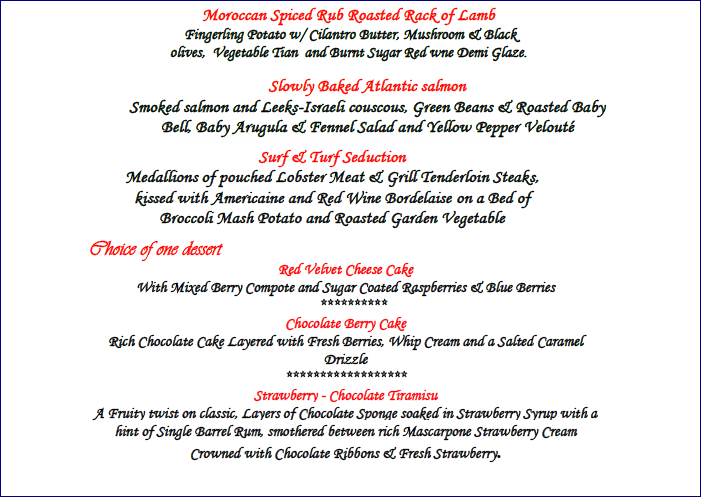 Valentine’s Dinner (available Feb 14th): 3 courses for $250 per person plus service charge & VAT. 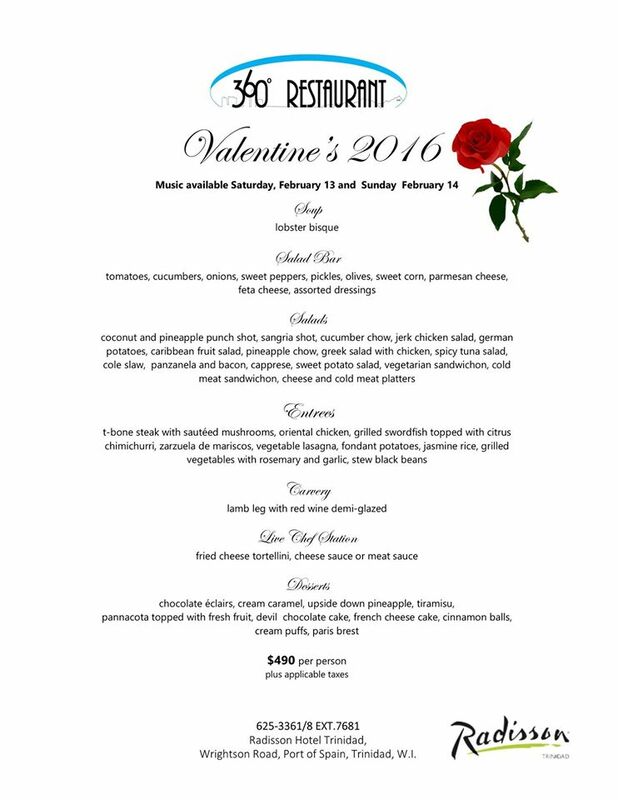 Link: Menu; Reservations: (868) 622-4927. 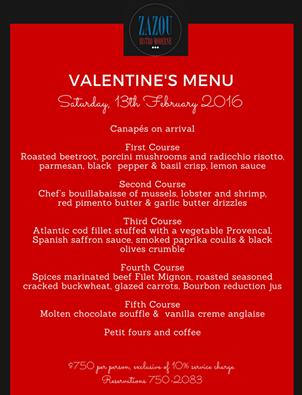 Valentine’s Dinner (available Feb 14th): 3 courses for $300 per person plus VAT. 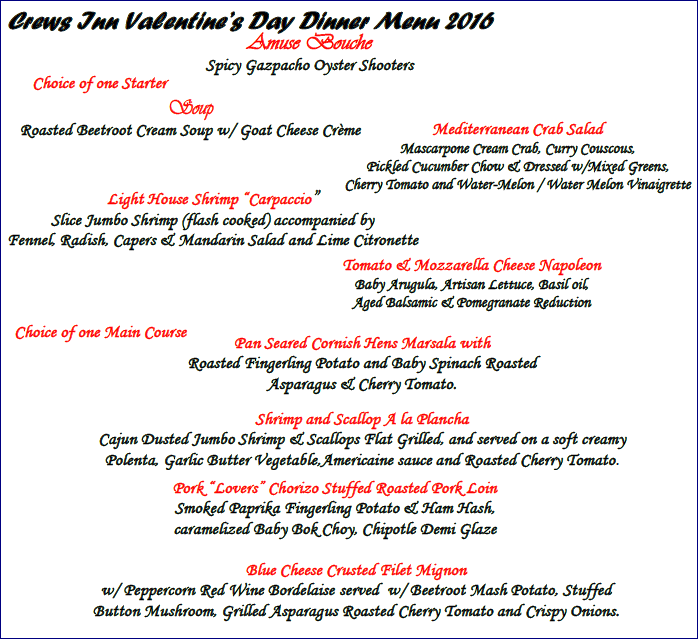 Valentine’s Dinner (available Feb 14th): 5 courses for $485 per person includes service charge & VAT. 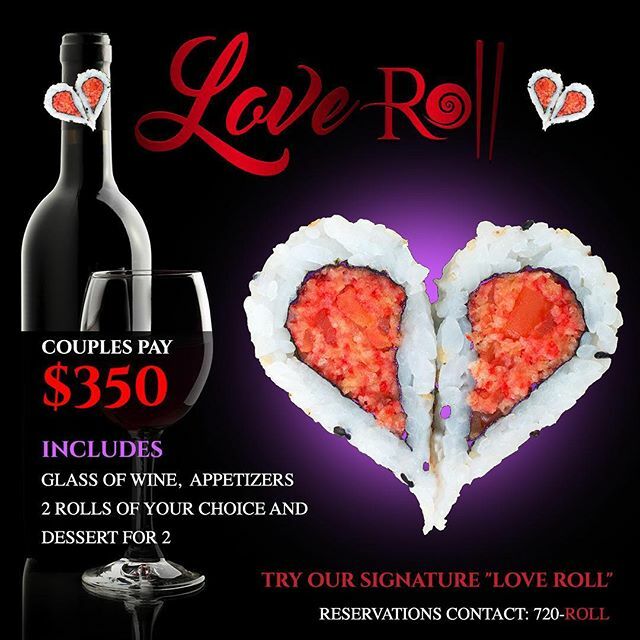 Link: Menu; Reservations: (868) 628-0667. 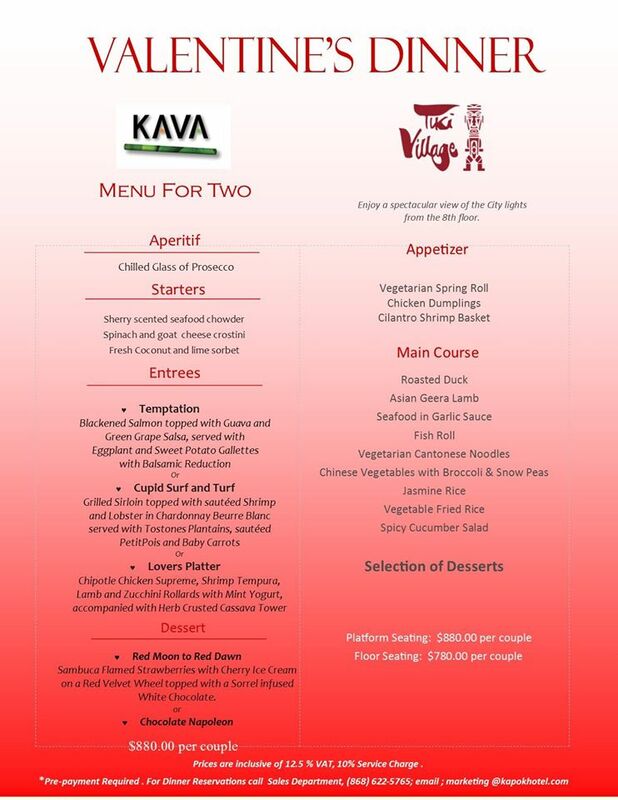 KAVA – 3 course dinner – $880 per couple inclusive of VAT & Service charge and a glass of wine. 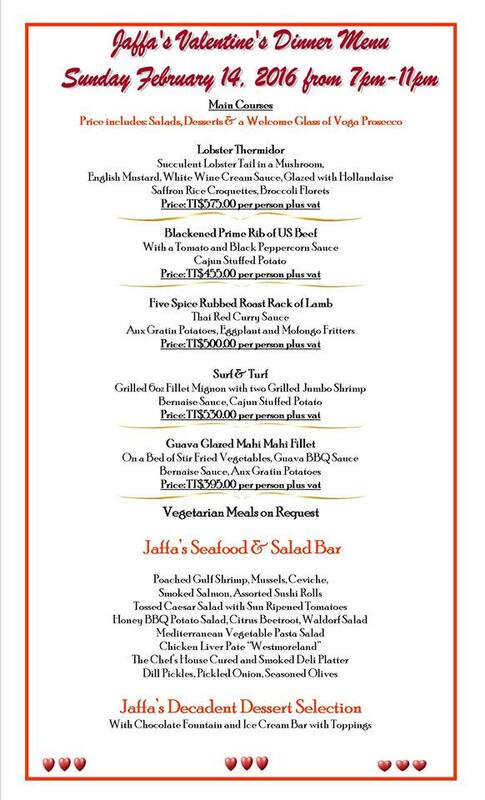 Tiki Village – 3 course dinner – $780-$880 per couple inclusive of VAT & Service charge and a glass of wine. 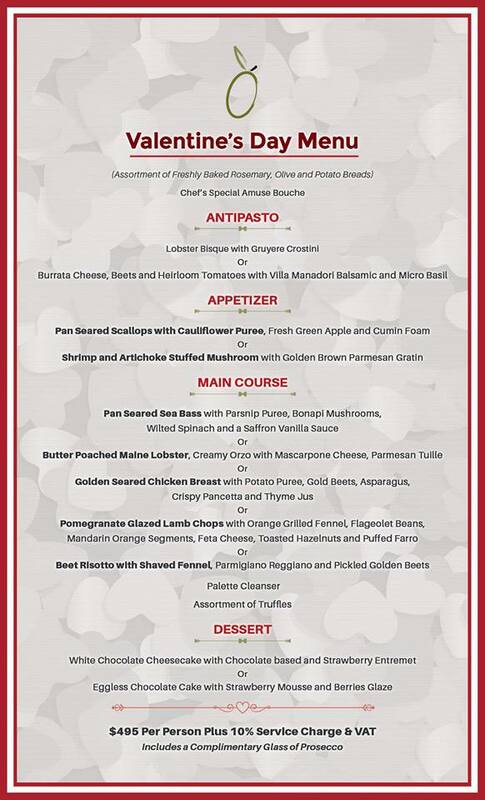 Valentine’s Sunday Brunch: $299 per person includes taxes with a glass of wine (menu link 1 and menu link 2). 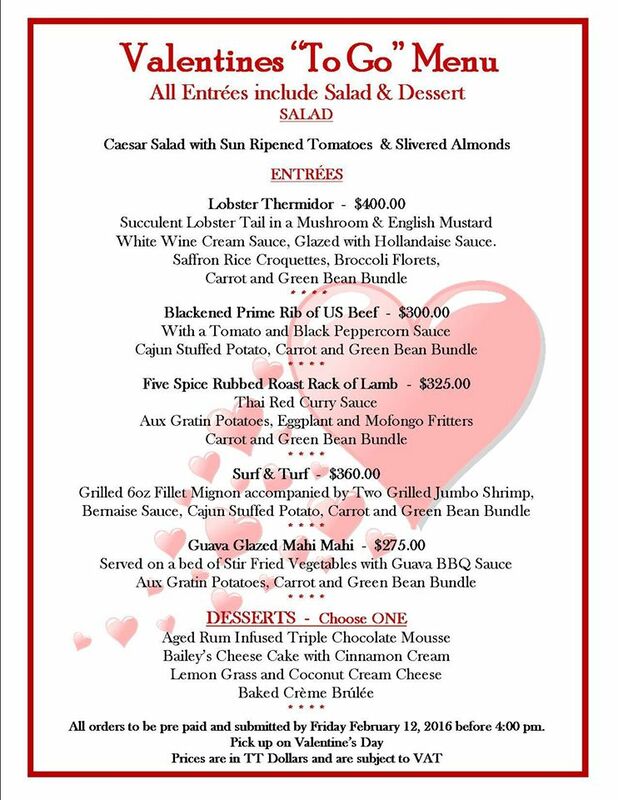 Valentine’s Dinner Price: Three Course Dinner for $899 per couple includes taxes and a glass of wine (menu link). 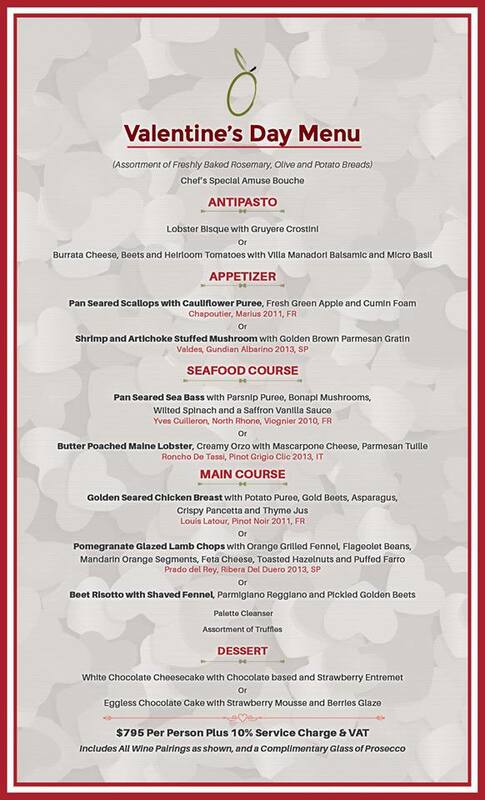 Valentine’s Lunch or Dinner – $250 per person for a choice of an appetizer & main course (exclusive of service charge & vat), additional cost to add wine and dessert. 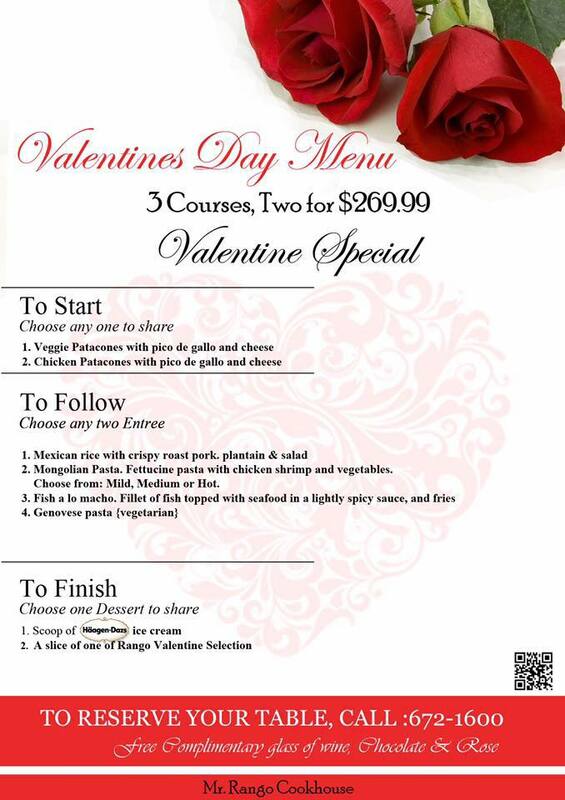 Vegetarian option also available. 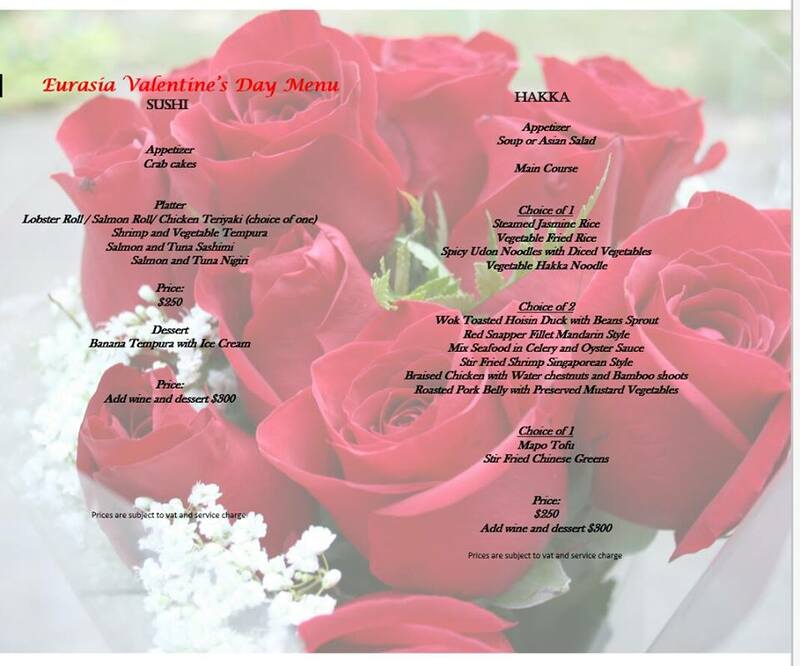 Valentine’s Day Lunch & Dinner Special: 3 courses for $269 per couple, inclusive od a glass of wine and ladies receive a rose. 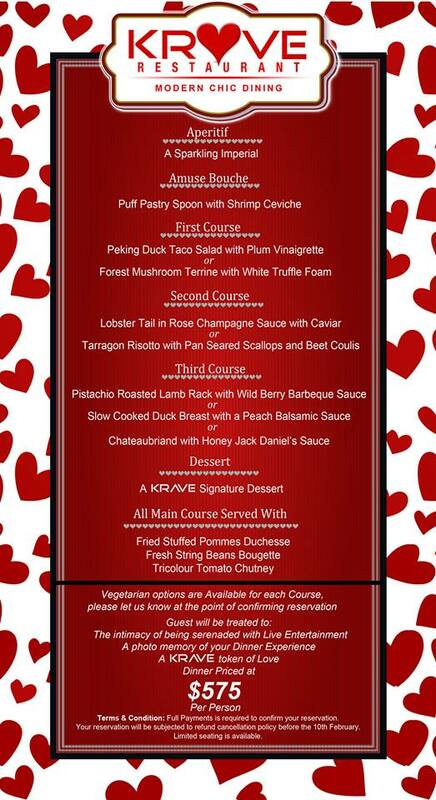 Valentine’s Day Dinner (available Feb 14th): 5 courses for $485 per person includes service charge & VAT. 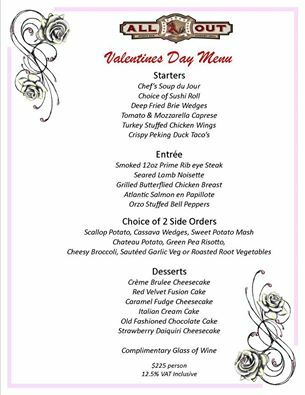 All Valentine’s Day specials as well as the prices, menus and times listed above are subject to being withdrawn or changed at the restaurant’s discretion. 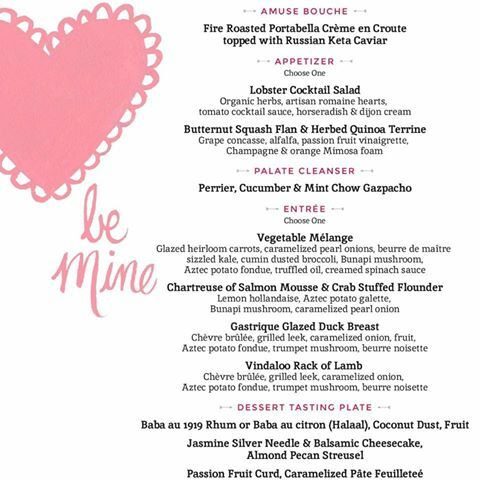 Link to details on great local chocolates, perfect for Valentine’s Day! 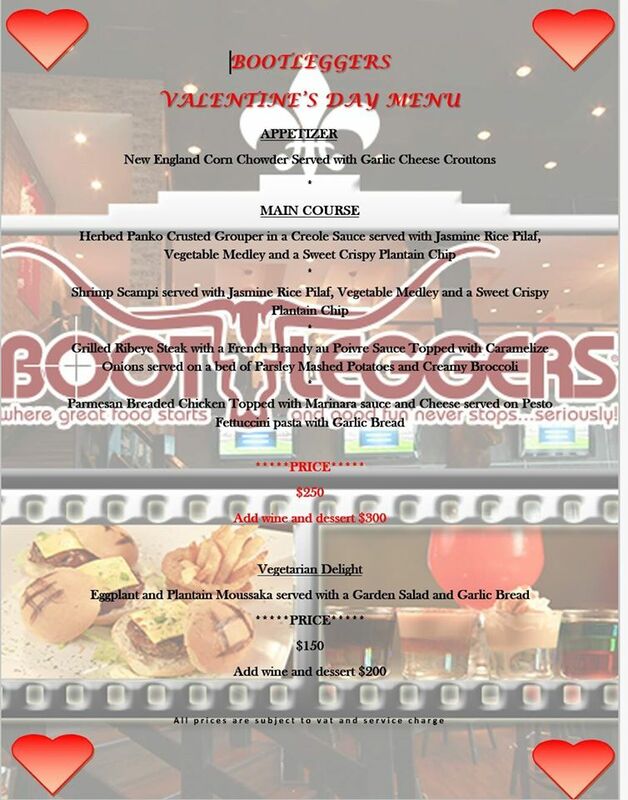 Follow us on FACEBOOK, INSTAGRAM and TWITTER for updates on restaurant news, specials and events!